Captain Sir Walter Ralegh was known for his extravagant style. 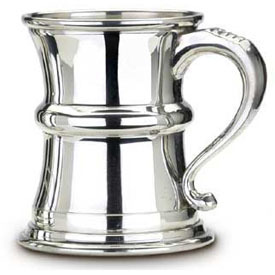 He certainly would have appreciated this beautiful, lead-free pewter tankard with decorative handle. To slake a Captain's thirst, the tankard will hold a full pint. 16 ounce capacity.